This week I have been getting into the ‘routine’ of Green Pastures. I start my morning with a 20 minute cycle from my B&B to the hospital…or 30 minutes depending on how many times I have to stop to put John’s bike chain back on or how many buffalo, cows, dogs, chickens and crazy drivers I have to navigate en-route. It is really just like navigating a set of moving roundabouts. The free range cows are the ones you really want to miss, hitting one of those can land you a life time jail sentence. Humans on the other hand…well they are apparently dispensable, so that does really matter. After that, the working day always starts with tea, followed usually by a ward-round then neuritis clinic, dermatology outpatient clinic or surgery. It is fair to say the hospital routine is somewhat haphazard and as there is no booking system, patients turn up at anytime and will wait to see the doctor so we may see two or 32 patients during the day. This system works well for patients though, as often they make their way to the hospital over days from their villages. 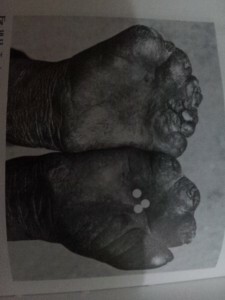 Leprosy is fascinating and complicated condition which most of us in New Zealand will never get to see. Currently, about 100 patients a year are diagnosed with leprosy in Nepal. Small numbers of cases do exist in New Zealand (11 diagnosed cases in 2013) with all of those cases being diagnosed in people who have immigrated to New Zealand, mostly from Pacific Island countries. I would like to spend a little time explaining the sociology of Leprosy here in Nepal, as the stigma associated with the disease is more harmful to the patient than the disease itself. Leprosy is an extremely old disease of man, with humans being basically the only reservoir. It rarely kills, but severely disfigures and deforms in late disease stages, which is where the fear and stigmatization arises. Patients have been/are subject to insult, rejection and even murder – others commit suicide. Green Pastures Hospital sits on a massive area of land which was gifted to the hospital by the government many years ago. 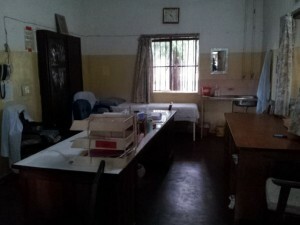 It was feared the disease would get much worse and the hospital was to be a place of isolation for leprosy patients. The hospital had the idea of using the farm for rehabilitation to teach patients farming and cultivating skills which they could then use if and when they were to integrate back in to their community. Unfortunately this not the case for a large majority of patients. The disease carries so much stigma and fear (still to this day) patients are rejected and disowned by their families and communities and are never able to return to their village. As a result, many are permanent residents here at Green Pastures, either working on the farm, grounds of the hospital or in the hospital kitchen – which turns out amazing lunches for everyone at the hospital daily, all from produce off the farm. One current patient is a gorgeous 12 year-old girl who has been on treatment for years but unfortunately has had nasty leprosy related reactions and side effects to treatment (thalidomide and high dose steroids) which meant her treatment has had to be stopped and started. Her growth has been severely stunted and she would be the height of a normal 6 or 7-year old. I have not yet seen a family member visit – I really cross my fingers in hope that at such a young age, the stigma will not prevent her from one day returning to her family and community. The disability arises from death of peripheral nerves so patients loose mobility and sensation in their hands and feet. With no sensation patients do significant trauma without noticing. One of our current patients acquired deep burns on both hands from hot pots and cups while cooking without realizing. With this breech of skin comes deep infected sores and ulcers, usually with accompanying bone infection and destruction. These wounds heal poorly and many require amputation. We currently have one patient who has a very large foot ulcer which has not healed for over 4 years despite best efforts. Amputation is really the best option left, however the patient is not willing to be subjected to more deforming surgery, consequently the wound is bandaged and left. Packing and dressing deep infected and non-healing ulcers has been a lot of what I have been involved in this week as 95% of our leprosy patients have ulcer somewhere on their foot or hand. 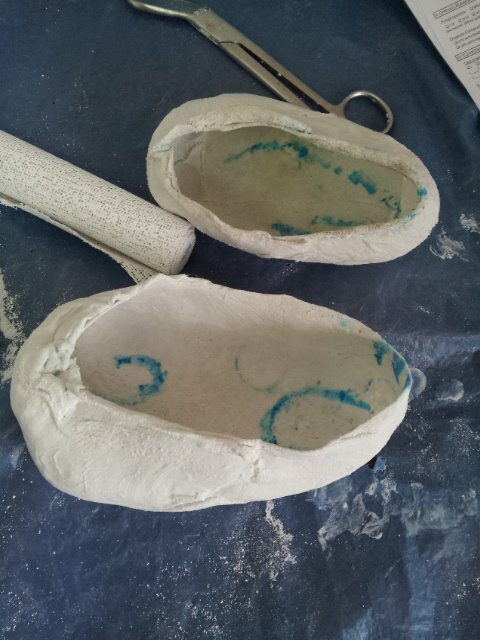 We have also started to make orthotics for some patients with John’s (the visiting American Podiatrist) new orthotic press. The aim of the orthotics is to off-load pressure points on the feet and old healing ulcers. However, most patients only have wee stumps due to bone resorption from the leprosy and multiple surgeries to remove infected tissue and bone meaning body weight is now transferred through a very small surface area making the risk of ulceration in the future very high. I must say, it feels like fighting in a losing battle! These complications make preservation of nerve function the single most important aspect of leprosy management. Any signs of nerve compromise (weakness or loss of sensation) is now treated aggressively with prednisone and/or thalidomide depending on other symptoms the patient is experiencing. More recently, better education, multi-drug therapy (MDT) and care in general means the outcome for leprosy patients is so much better if diagnosed early enough. 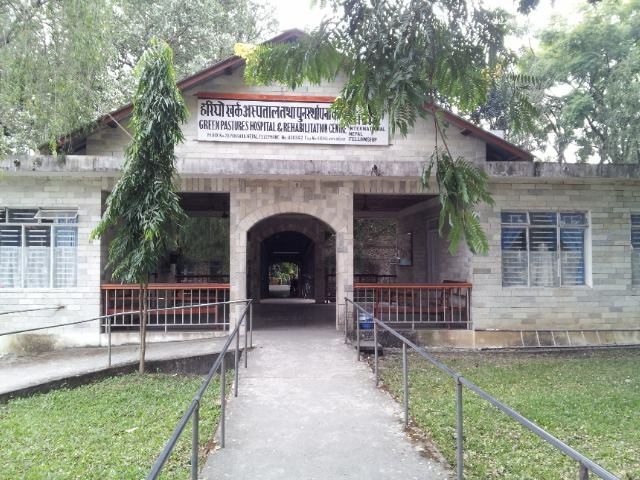 Fortunately all care for leprosy patients is free, theoretically making it ‘accessible’ to all patients. Patients can be cured of leprosy before it causes the permanent disability and disfiguring. The treatment course is long, from 6 months to 2 years depending on the type of Leprosy and bacterial load. Adherence becomes a huge problem especially in young males who feel well in these early stages. Green Pastures Hospital sits on a massive area of land gifted by the government specifically for care of leprosy patients. In simple cases where no major adverse complications from the disease have arisen, the MDT can be dispensed by ‘Health Posts’ in the patients home village, allowing the patient to continue to live and participate in the community which is key for reducing the stigma and fear around the disease. A large majority of these patients still keep their condition secret from friends, family and work, worried about the consequences of being labelled as a ‘Leper’. I hope this has given you bit of an insight into a condition foreign to most New Zealanders, I would love to answer any questions if you have any .